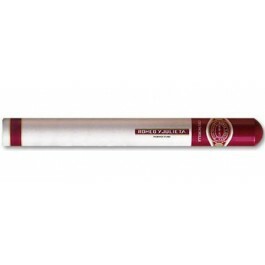 The Romeo y Julieta Churchills is a world famous strong julieta, with 47 ring gauge, 7" (178mm) long and comes in aluminum tubes in a box of 15 cigars. Despite being a strong bodied vitola, the Churchill is smooth and creamy nevertheless. It is perfectly constructed and its draw is smooth and easy. It has flavors of cedar, spices, leather, chocolate, coffee, vanilla, sweet cream and counting! It gets even better when aged, three year is recommended for this cigar.